How is your summer going? We’re half way through and it’s perfect time to start sending some postcards and letters with those holiday memories. Our August Moodboard feels like a cosy summer afternoon, calm time for yourself to reflect on a great time you had on your journeys. 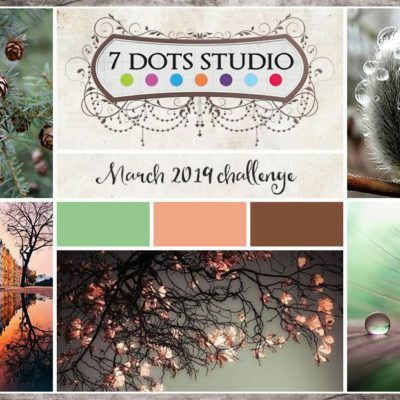 Join our Challenge and create any projects inspired by the Moodboard. 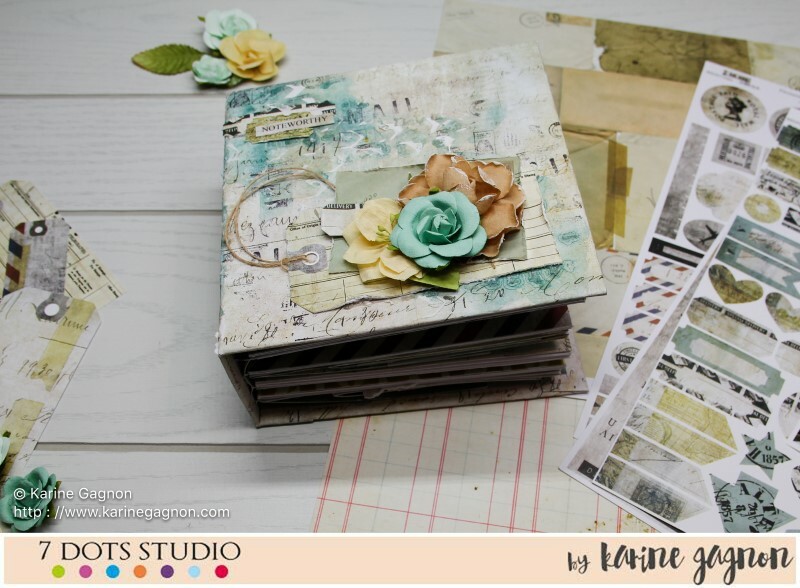 You can make layouts, tags, ATC, canvases, collages, art-journals, off the page projects and more. Please read the rules at the bottom of this post so you can win some amazing prices. We hope that it will inspire you to create new and amazing projects that you can share with us. Our August Moodboard is like the mature summer. It’s calm, warm, bright and nostagic. 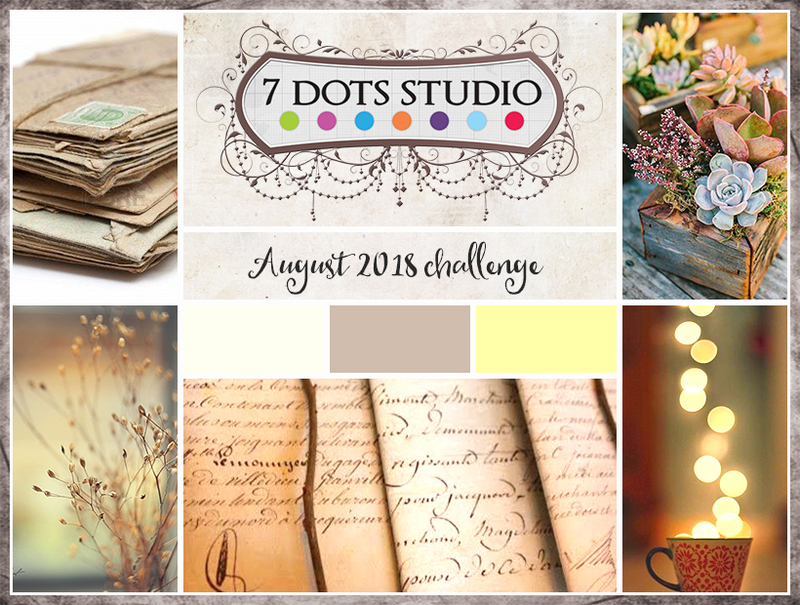 I must say that I love all our Moodboards so far, but this month I am totally in love with it. 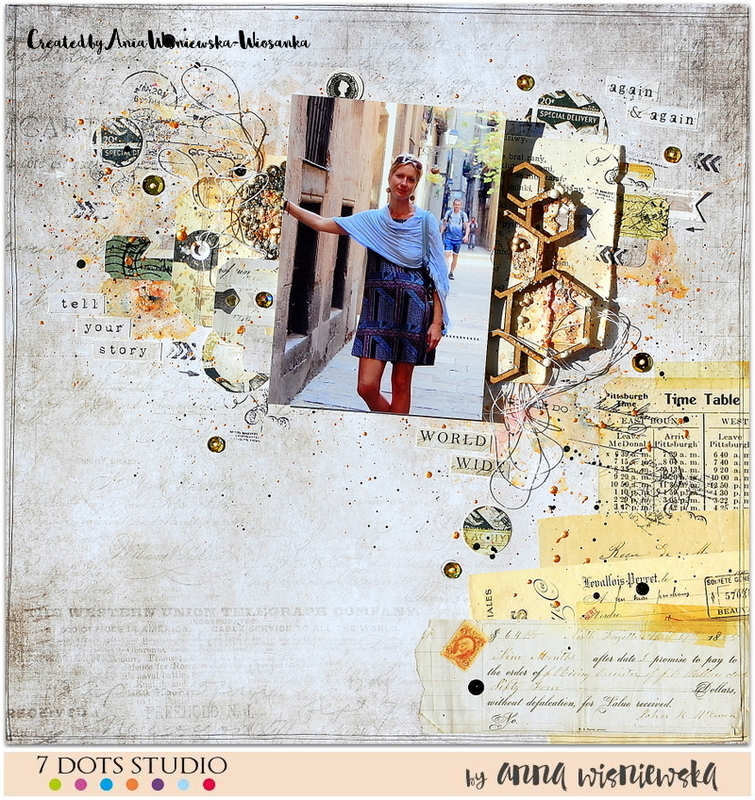 For August challenge I prepared calm LO in sand colours with the picture of me in late summer streets of Barcelona. I hope you’ll join us too! Today we have a very sensual and warm inspiration Board! I used a lot of elements from it. A stack of envelopes inspired me to this format of work. In addition, the new 7 Dots collection “Air mail” contains wonderful pictures of old stamps, envelopes and handwritten fonts. The flowers in the picture on the right miraculously moved to my envelopes. I even tried to find exactly such shades as in the photo. And the lights, as if flying out of the Cup, for that I used some Golden spray and white acrylic. Another month and another great mood board. This month’s inspiration brings out the earthy tones and with a vintage style. 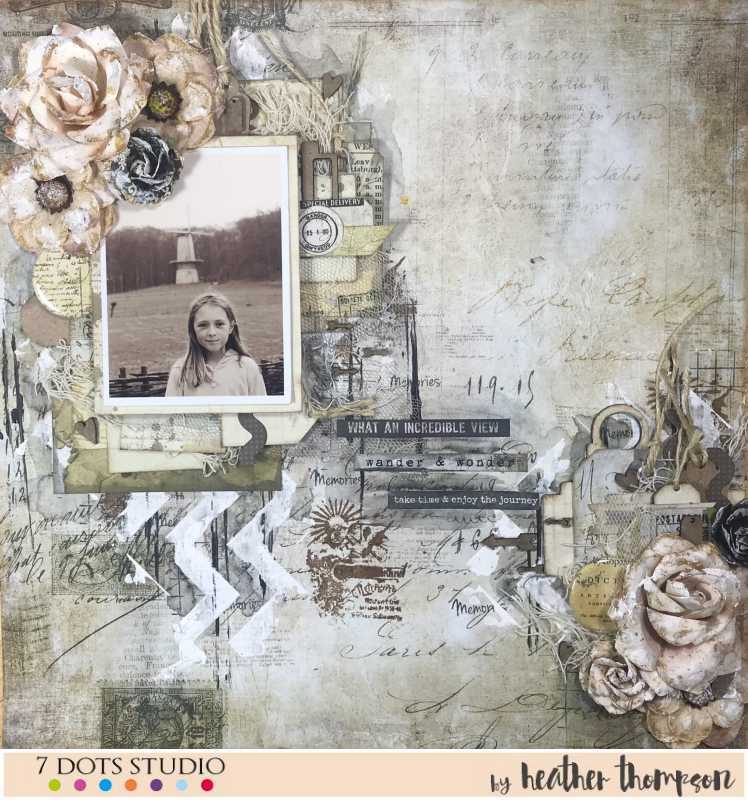 I choose to use the Air Mail collection and feature the sepia photo of my daughter Olivia over in the Neatherlands. I threw in some of the new Garden Party Collection also. 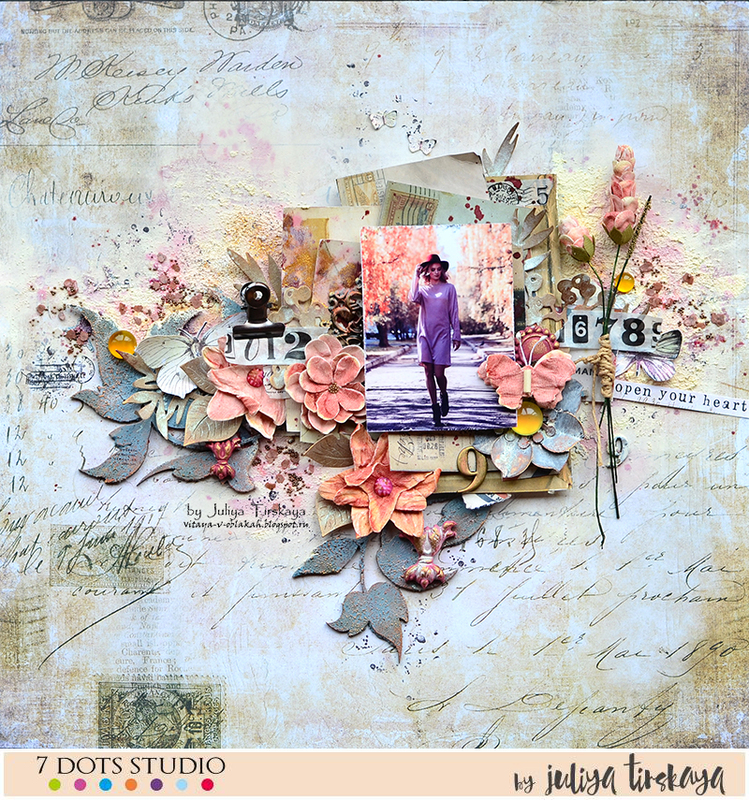 I was inspired by the different texture presented in the photos and incorporated layers of lace and fabric among the different layers of tags, sticker elements, die-cuts, flair and chipboards. I made a little video of how this page came to be. Enjoy, and I cant wait to see all the entries. Hello dear friends! Our new Moodboard is so vintage and atmospheric! 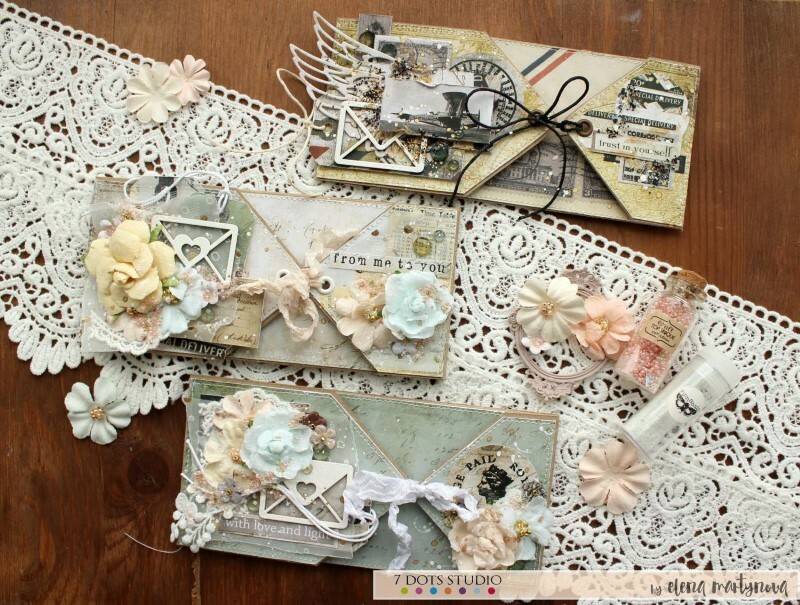 A new collection of Air Mail is great for that mood! Letters and a palette from a board gave me ideas of Autumn. She probably already writes her first letters, they have a reddish sunset, fogs and a refreshing wind …. When I saw the challenge, I immediately thought of the Air Mail collection. I was looking at this collection since it got here and I didn’t know where to start as all the papers are sooooo beautiful! That’s why I decided to make a mini album: I could use all of them in one creation. I must say that it was time consuming, but in the end, I love the result. I made a quick video for you to see all the pages. I really hope you like it. Have you been able to play with the new collections yet ?? I hope you have, because they are gorgeous !! 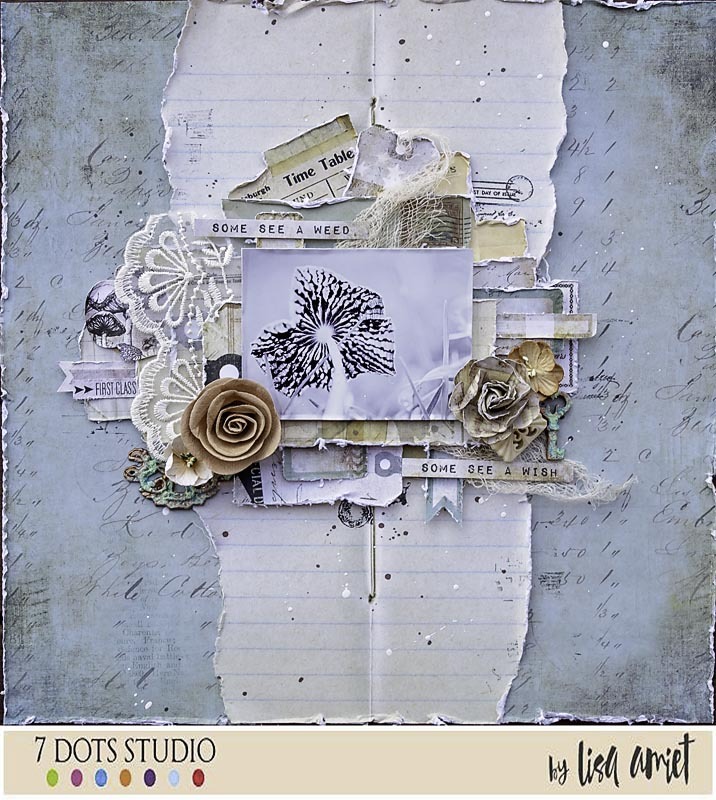 I am so in love with the AIR MAIL collection, perfect with the colors of the August challenge ! 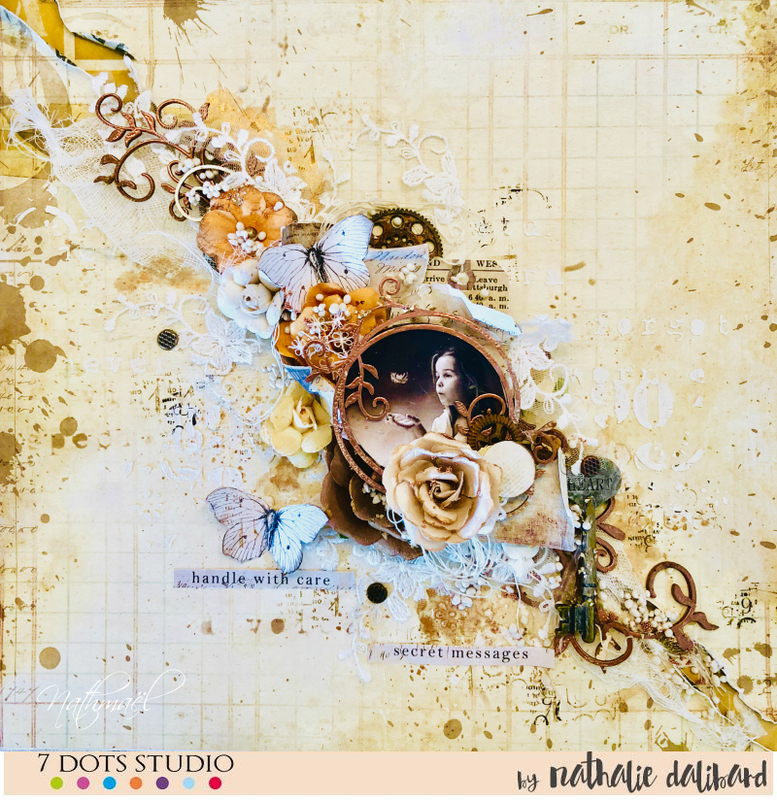 I used the paper PRIORITY for my background, I created texture with different 7 DOTS STUDIO stencils and then I created a multilayered composition with pieces of papers, flowers and embossed chipboards. Challenge is open till August, 31st midnight CET. We announce winners on the 5th of September. The second and third place are going to get 30% and 15% coupons to our store respectively. All three winners are also going to get a chance to be a Guest Designer on our blog as a part of the next Challenge.